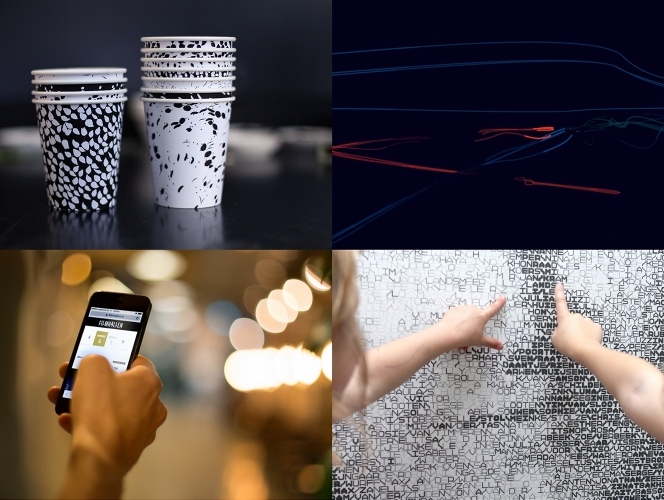 A generative approach to pattern design, which in combination with variable printing results in a unique design each time. 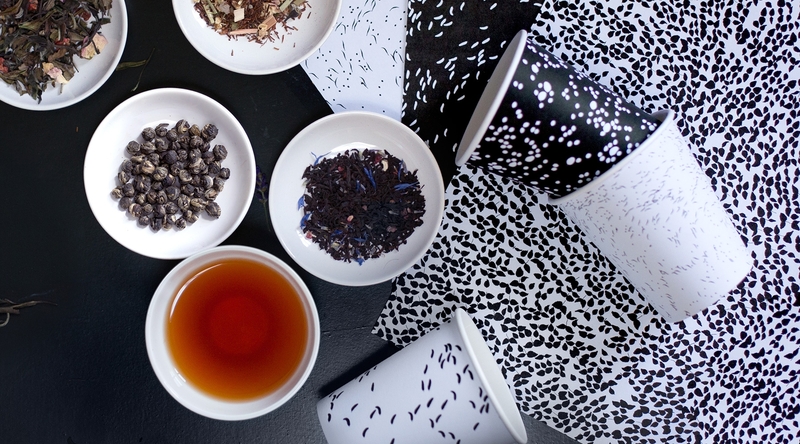 The project grew out of an identity investigation for tea boutique, ‘Tee & Cupp’ in Xian. 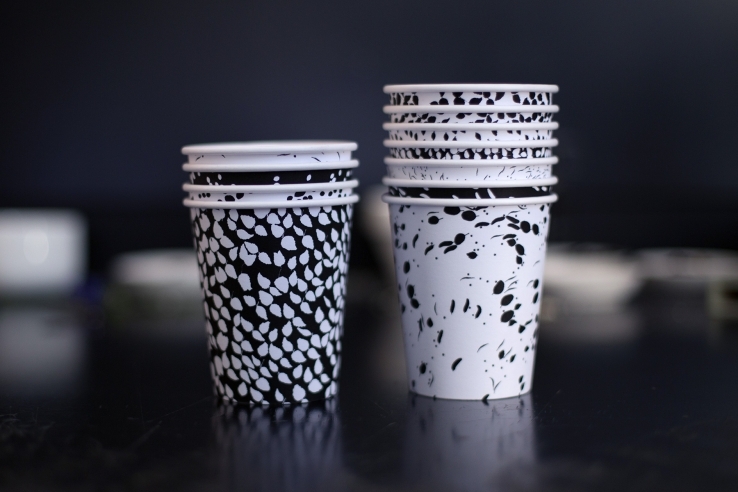 Example of the patterns on take away cups. 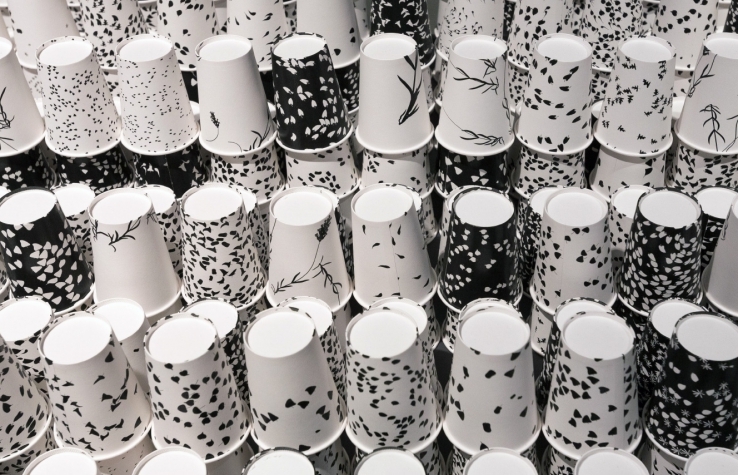 Variable printing allows each cup to have its unique pattern inspired by the ingredients of the tea inside. The patterns are random simulations of fluids loosely inspired by tea as it steeps. 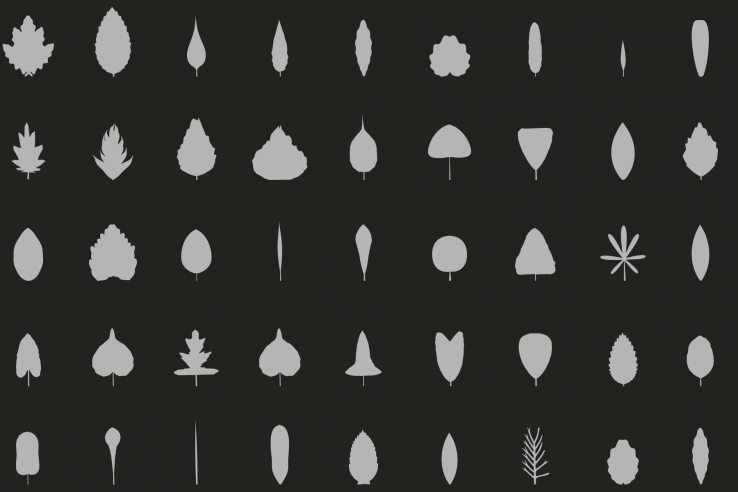 A brute-force shape-packing algorithm ensures that leaves don’t overlap. Initial patterns were basic geometric or random functions which were then developed to incorporate Perlin noise, displacement maps, and eventually fluid dynamics (see below). 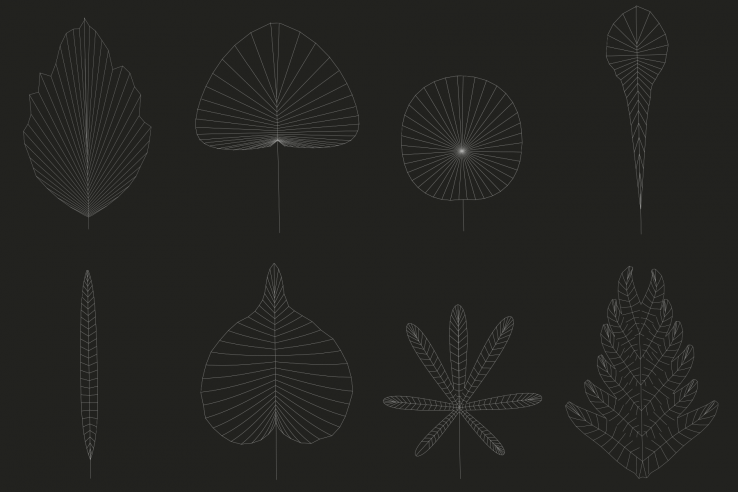 In a program made in ‘Processing‘ the structure of base leaf forms can be defined. Each ‘vein’ of a leaf can potentially act as a new stem allowing for nested, fern-like leaves. The degree of freedom is assigned for attributes such the number of veins, distribution, rotation, length etc. 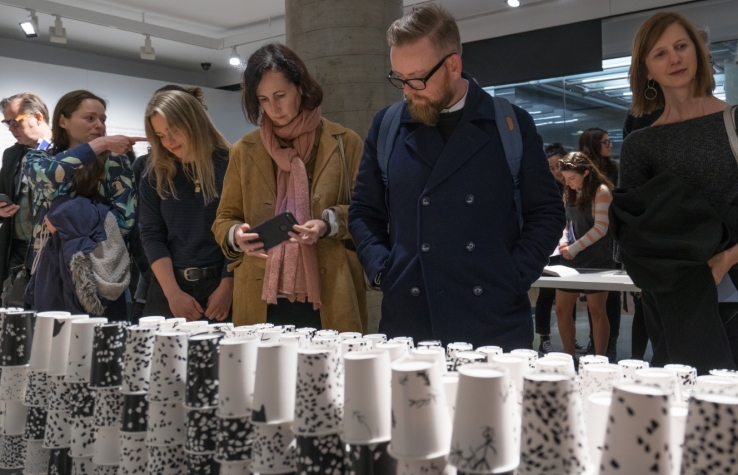 Noise and waveforms can be used to encourage more organic forms. 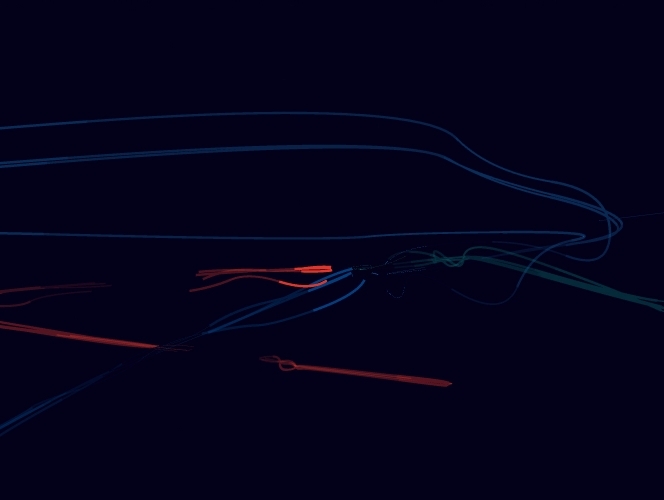 like a kind of compass arm, the ‘veins’ of the leaf determines the contour of the shape. The forms are drawn out uniquely with each iteration, based on the general parameters assigned. 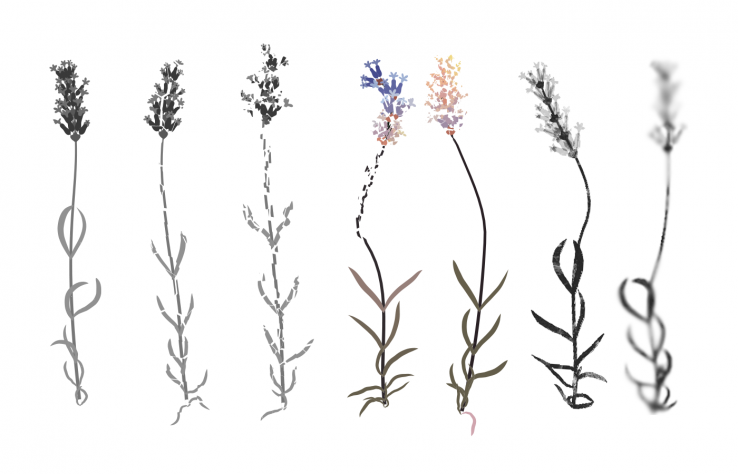 Using fluid dynamics as demononstrated in a sketch on openprocessing and ‘springs’ in the ‘processing’ library, ‘toxiclibs‘ help create vector paths for the leaves to build upon and create a liquid feel. Other experiments included generating displacement maps to: break the shapes apart with Voronoi meshes, create colour gradiations, allow for texture mapping and blur the resulting image with a gaussian blur kernel. ’s exhibition, ‘Hello World: Code and Design’.